Most people step into a yoga studio for a workout and a stress reliever. For the person who isn’t really well-versed in all that yoga encompasses, yoga is just another way to work on their fitness goals. However, as time goes on and they keep coming back to their mat, they will start to realize that the practice of yoga does a lot more than just build up core strength and increase flexibility. Yoga has the ability to transform your life—not only in the physical sense, but in spiritual and emotional ways as well. If you dedicate yourself to the practice, yoga will undoubtedly change you to the core and dramatically shift your overall wellbeing. The outsider’s perspective of what yoga entails is typically pretty narrow. For someone who has never stepped onto a yoga mat, when they think of the practice, they most likely conjure up images of insane flexibility, a bunch of people striking Warrior II pose, yoga pants…you get the idea. Once you start spending time with your practice, however, your understanding of the practice will evolve. While you may have initially walked into the yoga studio for a workout, over time you start to build out a much more accurate image of the practice. You’ll value the strength building element of an intense flow just as much as the beginning meditation and savasana. You will consider your practice not only a part of your physical wellbeing, but also as an influence on your spiritual connection and your overall lifestyle. Yoga is often touted as a practice that will help you stretch your limbs and increase your flexibility, but it also has the incredible power of improving both physical and mental strength. Physically, yoga is a great tool for building your strength throughout your entire body. From engaging the core to working the muscles in your arms, yoga can provide a powerful, well-rounded strength building routine. Beyond that, a consistent yoga practice helps to build stamina—in both the physical and mental interpretations of the word. Yoga teaches you to work through the blocks that come up in your mind. Thoughts of “There is no way I can hold this pose any longer” or “I would never be able to do a handstand” start to diminish. You learn to quiet those negative thoughts and not let them affect your practice. As your practice deepens, you push through boundaries that you previously thought were set in stone, and explore new limits that you never thought were achievable. Just like most practitioners of yoga in the western world, your yoga practice will likely start in the studio. You’ll begin with the asana practice, familiarizing yourself with both the Sanskrit and English translations of poses as you get stronger and more dedicated. However, over time, the practice of yoga will probably start to encompass more of your life. You may begin to apply some of the teachings you pick up from your yoga teachers in class to your daily actions and interactions. You’ll likely start to take note of your thoughts and reactions, and become more aware of how you show up in the world. You might start up a meditation practice, or practice different pranayama techniques at home. You may even be inspired to pick up some books on yogic philosophy to really deepen your practice and further integrate the eight limbs of yoga. However you see yoga show up in your life, it will likely start to influence you well beyond the walls of the studio. Yoga doesn’t necessarily teach you to become absolutely fearless. It does, however, inspire you to look your fears in the face and challenge them, rather than cower away towards your comfort zone. The practice shows us that when we move bravely towards our fears, we can be incredibly surprised by what we can accomplish. Whether you have fears of going upside down for an arm balance or opening up to someone and being more vulnerable than you’ve ever been, yoga teaches us to challenge these fears and work through them. A dedicated practice gives us a nudge and the necessary reminder that, once we work through our fears, they actually aren’t so scary after all. Yoga encourages us to become more mindful, in terms of both ourselves and the world around us. We start to notice the implications of our daily actions, and how they affect our lives. One of the major daily actions we start to reflect on is what and how we eat. For one, having a dedicated, regular physical practice promotes healthier eating habits. Yoga and its connection to food has even been studied, and researchers found that practitioners were far more inclined to make healthy food choices. You start to become aware of how certain foods make you feel, and make smarter choices when it comes to what you put in your body. It also encourages you to look at how your eating affects the environment. True yogis follow the rule of ahimsa, meaning non-violence, and can really integrate this way of life through the food they consume. As you strengthen your practice, you will start to look at the companies that produce your food and how their operations impact the planet, and you’ll begin to be more mindful of waste in regards to your meals, reducing both uneaten food and unnecessary packaging. A lot of physical practices out there center around pushing yourself. They don’t always highly value listening to your body and doing what is best for it in that moment. Yoga allows you to connect with your body and become far more in tune with how it is feeling. You certainly can push yourself when it feels right, but it is equally as encouraged to take a step back if that is what is best for you. You learn when is a good time to go for the challenging arm balance, and when it is better to sink back into Balasana. You learn when your hamstrings can take a bit more of a stretch in Paschimottanasana, or when you’d be better off taking a more gentle approach. This intuition you develop in yoga around knowing what your body needs will begin to even expand outside of your practice. You will listen to your body when you eat, and consume the foods it needs for maximum functioning. You will listen to it when deciding how to spend your free time. You will listen to it when it needs rest over forcing it to do something it is not prepared for. Even if you’ve never stepped foot in a yoga studio, you are probably aware of the main benefits that are most commonly associated with the practice: it increases flexibility, engages the entire body, and helps release stress. While these benefits are certainly wonderful, there are a wealth of other ways that a yoga practice affects the body and mind that you might have never heard. For instance, yoga has been found to help you focus. Researchers have proven that a dedicated practice can improve your metabolism. 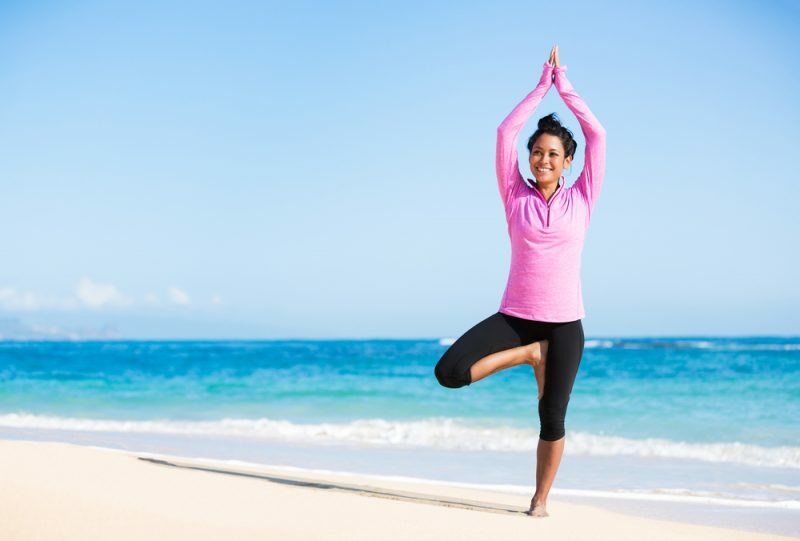 Yoga can help you stand up straighter and overall enhance your posture. It can even promote the building of bone mineral density to encourage overall bone health. The benefits of yoga span far and wide, and with a dedicated practice, you’ll be amazed at how it affects your overall wellbeing. It is challenging to learn new poses, and success doesn’t happen overnight. You might find yourself dedicating months to a posture, and at times it might seem like progress is impossible. However, as you continue to dedicate yourself to your progress, you’ll find that with consistent efforts and a bit of patience, you will be able to reach your goals. This ability to work through challenges with a patient mindset will extend to the conflicts you work with in your daily life. With yoga, you learn how to better deal with conflicts, and you become much more skilled at working through them gracefully. There have even been studies showing that yoga practitioners exhibit higher levels of adaptive coping strategies! On the scientific side, the asana arm of yoga helps to produce higher levels of serotonin. A dedicated practice helps you elevate this hormone level, which is commonly referred to as the “happy hormone”, and all-around raise your satisfaction with life. 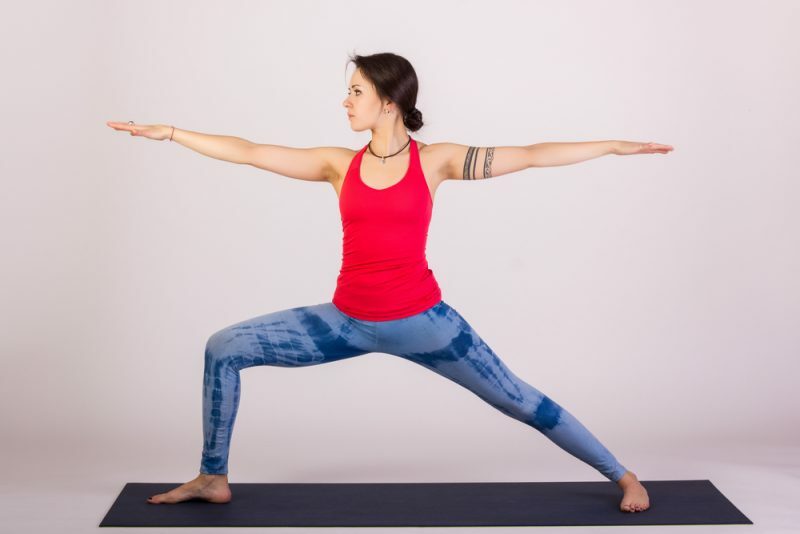 Looking at the spiritual and mind connection to the practice, yoga allows practitioners to develop a better sense of purpose, and stronger levels of self-assurance and confidence. It gives you the opportunities to push your boundaries further and further, and break down any mind blocks that may have been holding you back from being your most confident self. Your confidence in your abilities begins to gradually build, and you will see both your happiness and life satisfaction skyrocket along with it. Self-care is more than just a trendy buzzword. It allows you to give value to the practices that bring you towards being your best self, whether that means going for an intense workout or just spending a bit of time journaling through some emotions. Yoga teaches you that dedicating yourself to strengthening both your physical body and mind is incredibly beneficial—and even life changing. You’ll begin the see the ways yoga transforms you, and will find the consistent time to create space for self-care practices. If you have already been practicing yoga for a while, you’ve probably noticed at least a few of these shifts in your life. If you are just starting to toy with the idea of getting into the practice, you now have a bit of a clearer image of what it may encompass. While the practice of yoga can be very personal and influences us each in our own unique ways, these incredible changes will undoubtedly come for anyone who dedicated themself to a consistent practice.